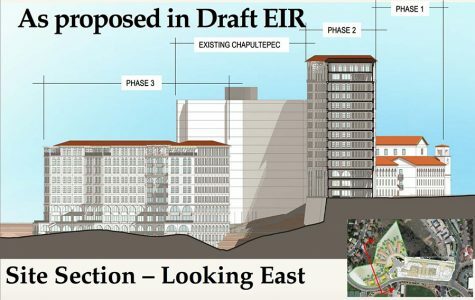 College View Estates residents do not like SDSU's plan to build two new dorms next to Chapultepec Residence Hall. Yard signs pepper the College View Estates community drawing attention to what residents claim is a threat to the canyon. 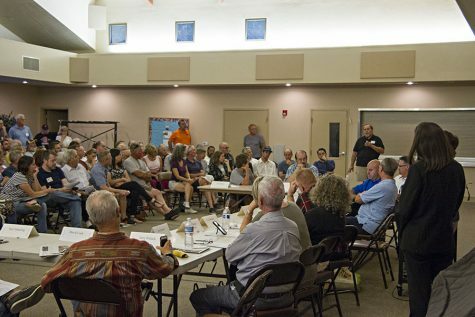 College Area residents packed into the warm, stuffy sanctuary at Faith Presbyterian Church Wednesday evening for the College Area Community Council and College Area Community Planning Board meeting to hear an update on San Diego State’s plans to build new dorms on the west side of campus. Representatives from SDSU were on hand at the meeting to talk about changes made to the plans and to answer questions from the public. The dorms are proposed for an area known as Aztec Canyon, adjacent to Chapultepec residence hall. 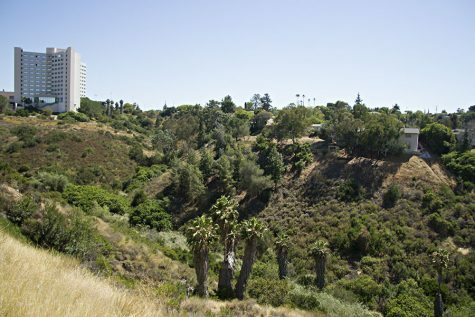 Aztec Canyon from the north, with Chapultepec Hall on the left and College View Estates home on the right. Photo by Andrew Dyer. 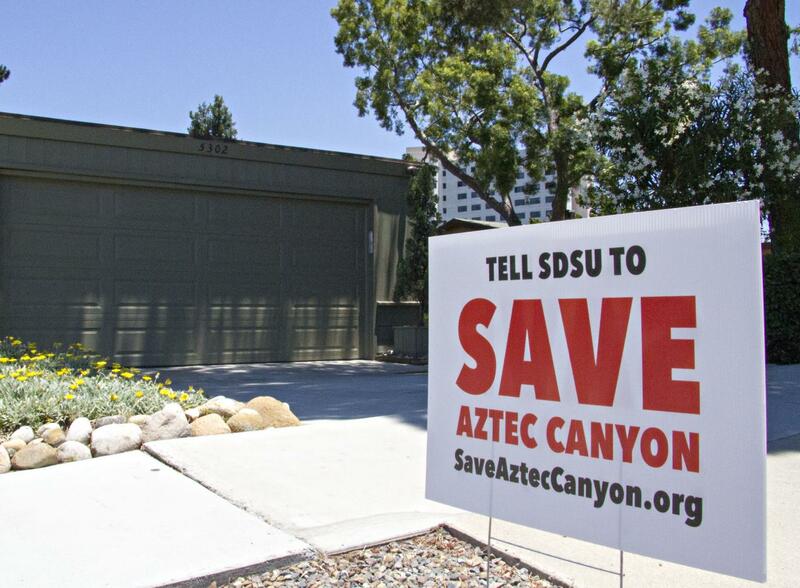 Residents created a website, “SaveAztecCanyon.org,” and placed signs throughout the campus and neighborhood to rally opposition to the university’s plan. The website claims construction would threaten 85 rare and endangered species of plants and animals who live in the canyon. Rene Kaprielian lives in College View Estates and is part of the Save Aztec Canyon coallition. He questioned SDSU’s decision to build in university’s westernmost corner. 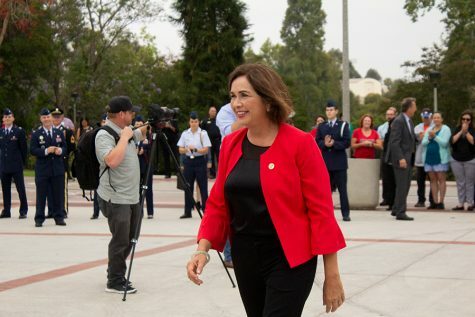 Gina Jacobs, SDSU’s interim chief communications officer, said the university had a specific goal in building near Chapultepec. 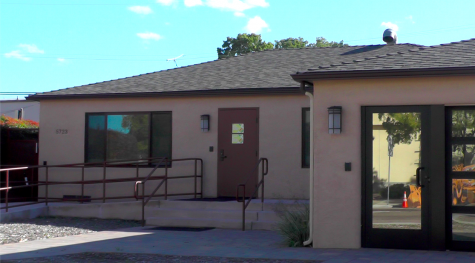 In the original, draft Environmental Impact Report, the SDSU project proposed a build-out in three phases. Phase I consisted of a series of low-rise buildings with 850 beds to the east of Chapultepec. Phase II included a 14-story residence tower of 850 beds immediately to the west. Phase III was the most environmentally impactful, as its 866 beds would have been shared between four 11-story towers built into the canyon itself. Original rendering. Courtesy of SDSU. 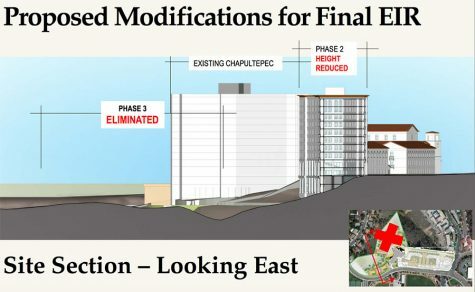 After input from the public, outgoing SDSU president Elliot Hirshman moved to eliminate “significant and avoidable” environmental impacts, and the university removed phase III from its EIR and reduced the tower height of phase II, eliminating a total of 966 beds from the project. Modified rendering. Courtesy of SDSU. 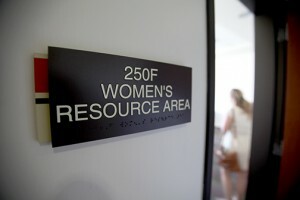 SDSU Director of Planning Laura Shinn and Sarah Lozano, a consultant from environmental firm Dudek, took turns responding to concerns from members of the public, some of whom disputed the need of the university to expand. Residents gather to question, and in some cases, vent their frustration at a process some felt was not taking their input seriously. 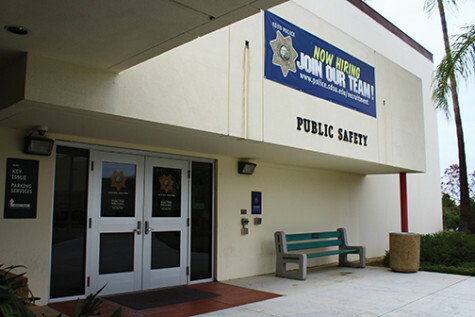 College View Estates resident Kim Wilson questioned the university’s willingness to take community concerns seriously. During the meeting residents expressed frustration at the process involved in approving the project and the inability for city leaders to do anything. The canyon is state — not city — property, and final approval rests with the CSU Board of Regents. The university hopes to break ground by the end of 2017 and for students to move in to phase I of the project by the start of the fall 2018 semester. Phase II does not have a timeline for construction at this time. Update: SDSU’s draft EIR and more information on the project can be found here. Read The Daily Aztec’s story on the Sophomore Success Program here. SDSU has been completely tone deaf when it comes to this project. The university intends to force as many sophomores to live on campus as it can, in the misguided belief, using outdated research, that students need to live on campus to graduate in 6 years. 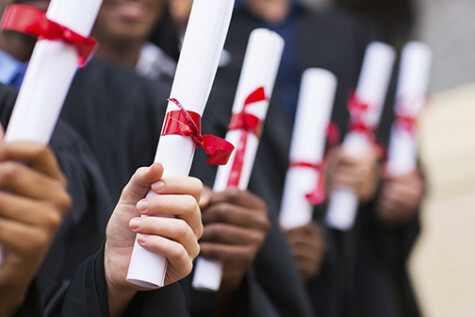 SDSU seems to have completely missed the current research that shows that students do not perform better when they live on campus. 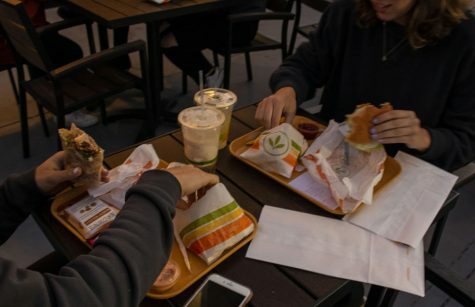 SDSU has also overlooked that universities in general, and SDSU in particular, are increasing the number of online classes, and that eventually, living on campus will be moot – and eventually will occur long before the 50 year life dorms will be paid off. SDSU has also failed to consider its own 2007 Campus plan that called from the demolition and rebuilding of Maya/Olmeca, the 2 worst rated dorms based on student surveys. That action alone will add 1200-1600 beds. And SDSU also ignores that its 2013 plan has 1400 students in high rise dorms east of Chappy. That action, coupled with Maya/Olmeca rebuild, will afford 2600-3000 student beds without ANY CARNAGE TO THE CANYON! But SDSUs architects want to win awards and build dorms in canyons with Firepits to make sure that whatever part of the canyon isn’t destroyed by construction is ultimately burned to the ground by glowing embers from misplaced, ill-considered Firepits coupled with young adults. It’s hard to imagine that SDSU uses the slogan LEADERSHIP STARTS HERE. If this is SDSU leadership, we don’t want any! SDSU has a plan that considers housing students from other universities, along with a host of other possible renters for the dorms, if the project fails to be full. It seems that SDSU isn’t really committed to anything besides destroying the canyon and taking in rent. It also appears that this will come to litigation and that SDSU will be very unlikely to build this year. Perhaps they should come to the table in good faith, show some environmental concern for sustainability, and put a conservation easement on the canyon in order to keep their malevolent staff from destroying it in future years with a 2nd good old college try at another EIR. Rebuild Maya/Olmeca – the Trustees approved that in the 2007 Campus Plan. Put 1400 beds on Lot U next to Chappy – it was an option in the 2013 West Campus Plan. 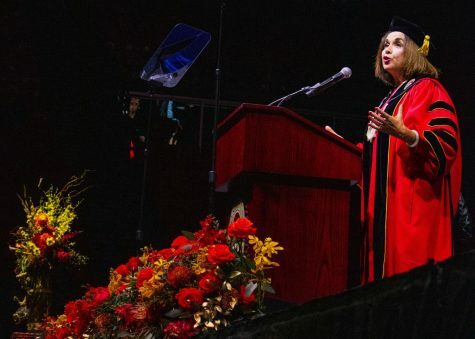 If SDSU made a mistake building Chappy 30 years ago in an isolated location – as Gina Jacobs of SDSU admits, then doubling down on that mistake by destroying an undeveloped canyon might the only possible bigger mistake that SDSU could make. Thank you for printing this article. 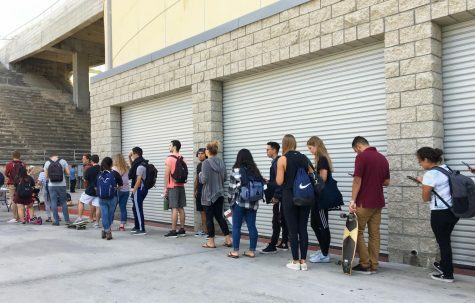 I suspect most of the students are not even aware that SDSU plans to destroy one of the canyons that make the university so special and not have the feeling of a school in the middle of a congested city. Phase II needs to be moved more to the east to bring the students closer to campus. Aztec Shops (SDSU) owns very old apartments down on 55th St. They could build dorms to house many more students than phase II and III combined. They would also still be close to the existing dorm on Remington Rd but would traffic would be mitigated away from the community. Let’s save the canyons around SDSU and continue to give the wildlife in San Diego a few safe places to live. Thank you for attending the meeting and writing the article that exposes faculty, students, and the greater San Diego community to SDSU’s plans to push through a student housing development project for which they commissioned drawings in 2010 and 2013, released to the public in December, 2016, and plan to begin before the end of 2017. As an emerita faculty member I am disappointed that a university with academic programs in Environmental Sciences, Sustainability, and a joint doctoral program in Ecology with UC Davis is willing to destroy the robust canyon resource on campus and pay for privilege of doing so in order to meet CEQA guidelines. It is significant that only Phase 1 of the project was shared with the Campus Development Committee in early June, a committee of the Faculty Senate, leaving the full Senate and other faculty members completely unaware of the proposed project and its habitat destruction. As a neighbor, I am pleased that more on-campus housing will be built. Phase 1 of the project will provide an opportunity for students to experience on-campus living. 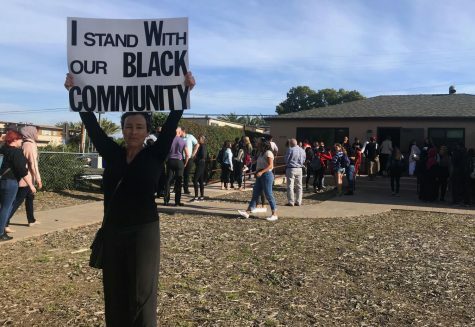 But I am dismayed by SDSU’s inflexibility in considering other continuous sites for Phase 2 that would provide the housing and sense of community they seek without habitat destruction or intrusion of 11-story dormitories next to a neighborhood of single-family homes on a two-lane street. Phase 2 of the project is being railroaded through the faculty, the nearby community, and the city, with plans to take it to the Board of Trustees in September. This should not be allowed to happen. Please let SDSU know that Phase 2 should not move forward until actual plans have been shared and thoroughly vetted by all interested and impacted parties. Congrats to everyone who “saved the canyon” we truly appreciate it. I love looking into that canyon and thinking to my self … ” self… what a beautiful canyon, so many bushes and rodents” and to think they would have built housing for those students in our back yard? Nope, not on our watch. send them to the mini dorms!!! Great work everyone, Great work!